In 1944, after German forces invade Hungary, the Zionist youth organization that twelve-year-old Tibor belongs to goes underground to avoid detection. 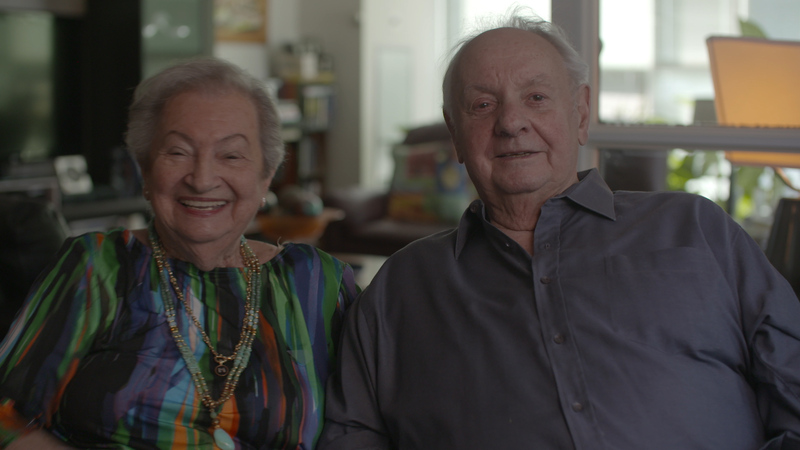 When Tibor is separated from his family, he must rely on the support of his network, a courageous group under immense pressure to save as many Jews as possible in Budapest. 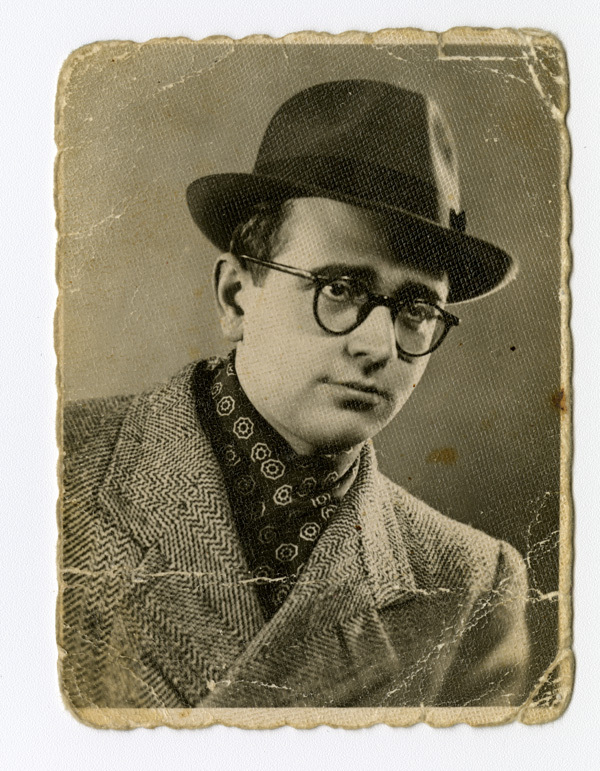 Inspired by these Unsung Heroes, Tibor joins the resistance effort and bravely acts as a courier for the group, delivering false identity documents and protective papers to Jews in danger. When the war ends and Tibor must face all that he has lost, his group remains his lifeline, giving him hope and helping him find freedom. 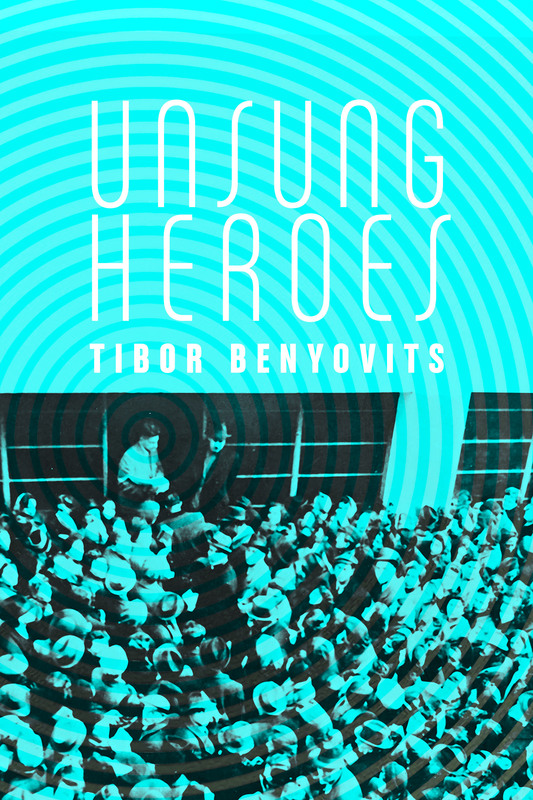 Tibor (Ted) Benyovits was born in Budapest in 1932. 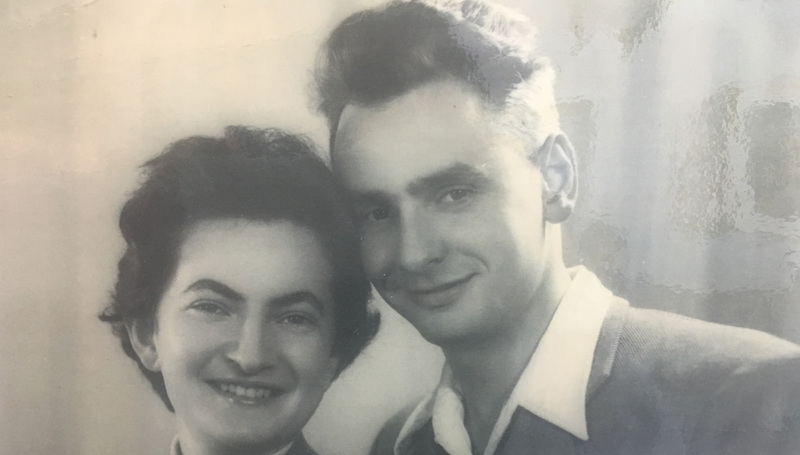 He immigrated to Israel in 1949, where he met his wife, Miriam; they moved to Canada in 1962, and Tibor established a machine shop in Toronto. 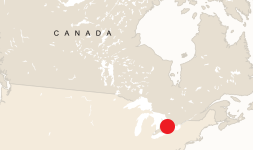 Now living in Thornhill, Ontario, Ted and Miriam have two children and three grandchildren. 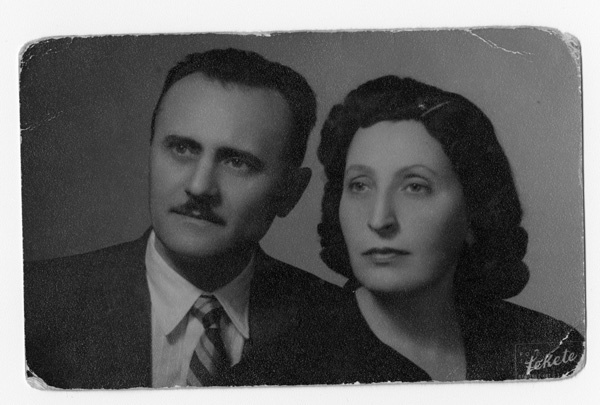 Tibor’s parents, David and Helen (née Reiner) Benyovits. Budapest, circa 1920. Tibor, age six, with his immediate family. Standing in back: Tibor’s sister Magda (left) and his brother Jenö (right). 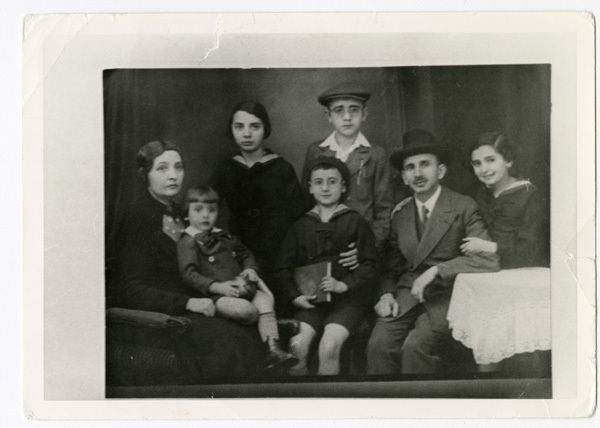 Seated in front (left to right): Tibor’s mother, Helen; Tibor; his brother Jozsef; his father, David; and his sister Edith. Budapest, circa 1938. 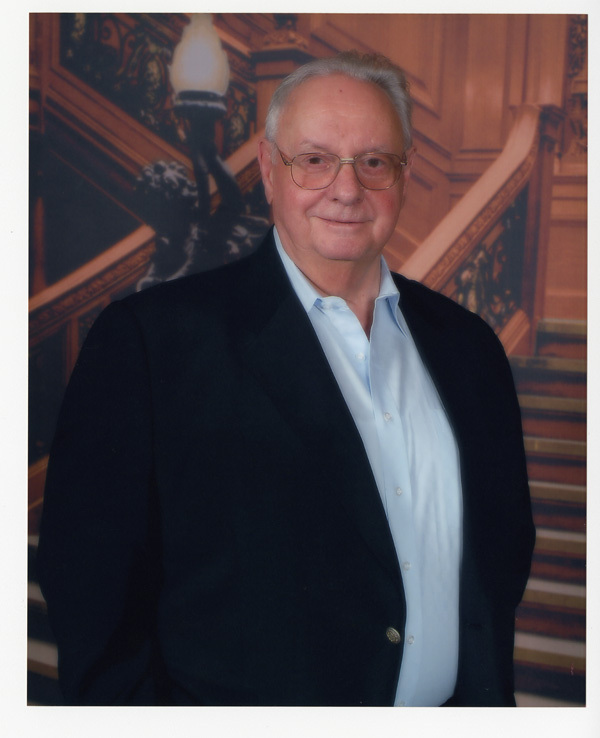 Tibor’s father, David. Budapest, 1943. Tibor’s brother Jenö. Budapest, 1943. 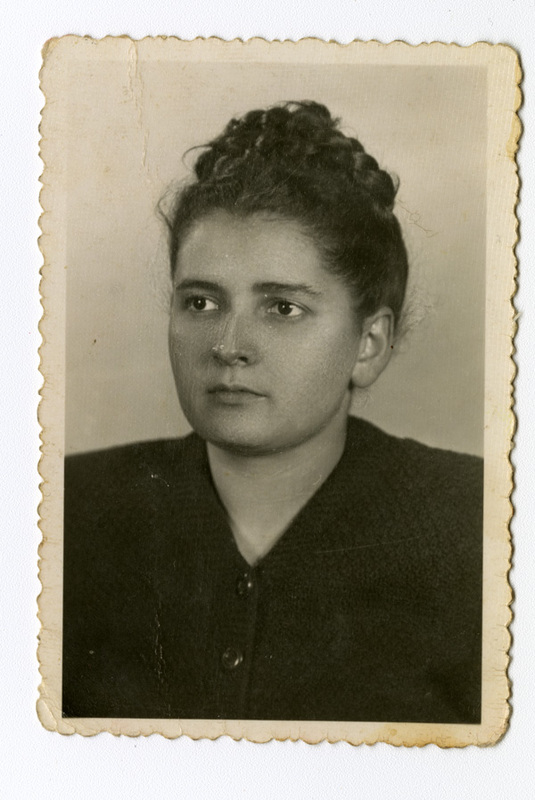 Tibor’s sister Edith, after taking on a Christian identity during the war. Budapest, 1944. 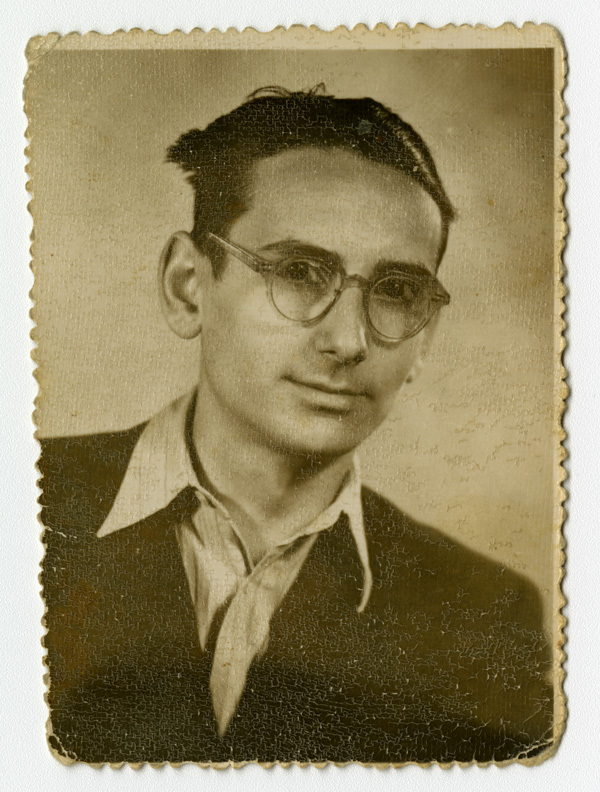 Tibor’s brother Jozsef (Suci). Budapest, 1944. 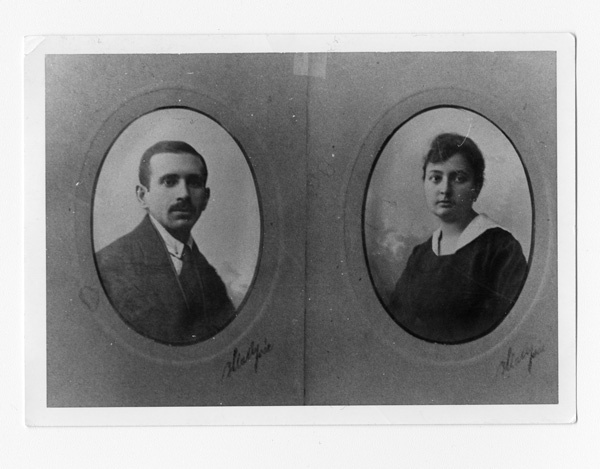 Tibor’s aunt Elza (née Reiner) and her husband, Zoltán (Zolti) Libman. Vác, Hungary, 1949. 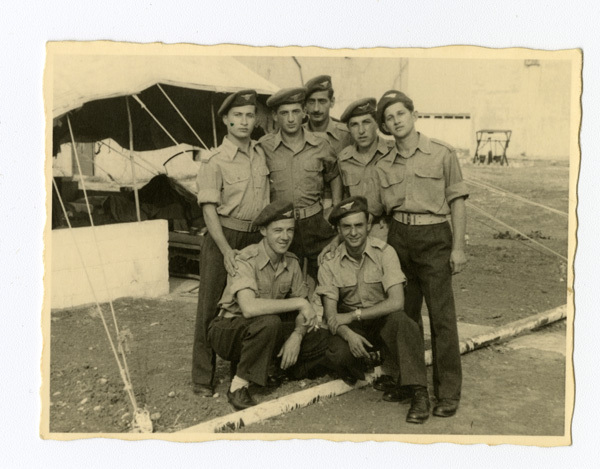 Tibor (standing, far left) with friends from his Zionist youth group Hanoar Hatzioni before leaving for Israel. Buda Mountains, Hungary, April 1949. 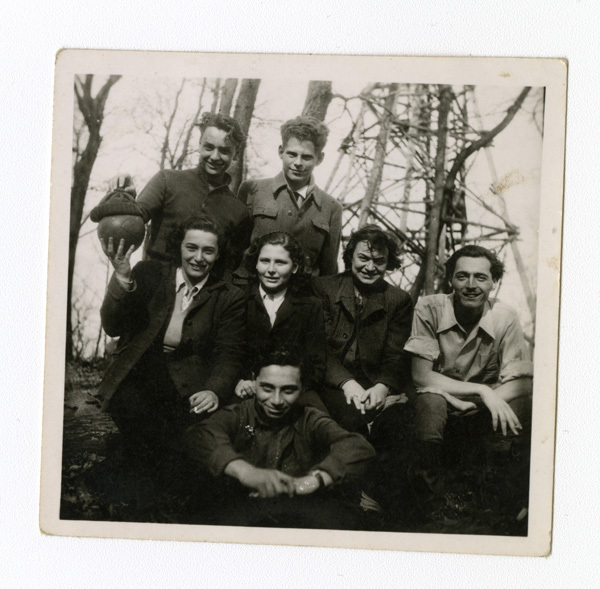 Tibor (front, right) with members of his pilot training course. 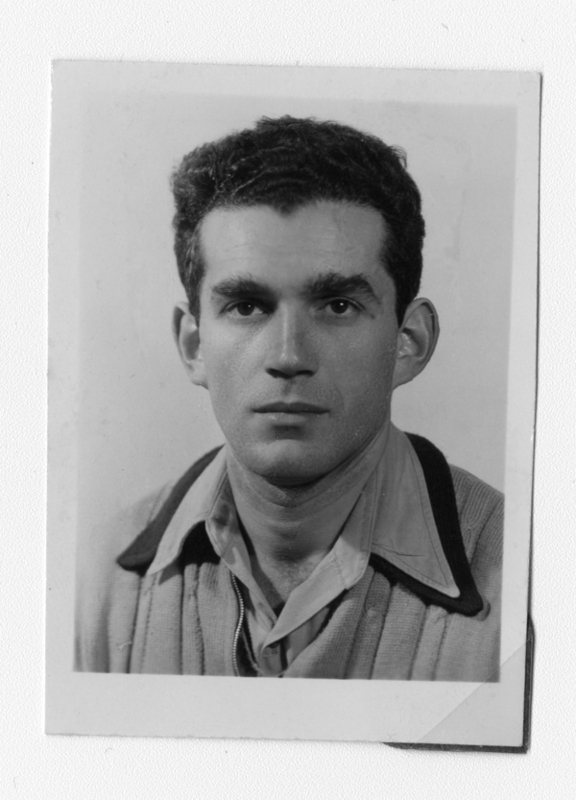 Israel, 1952. 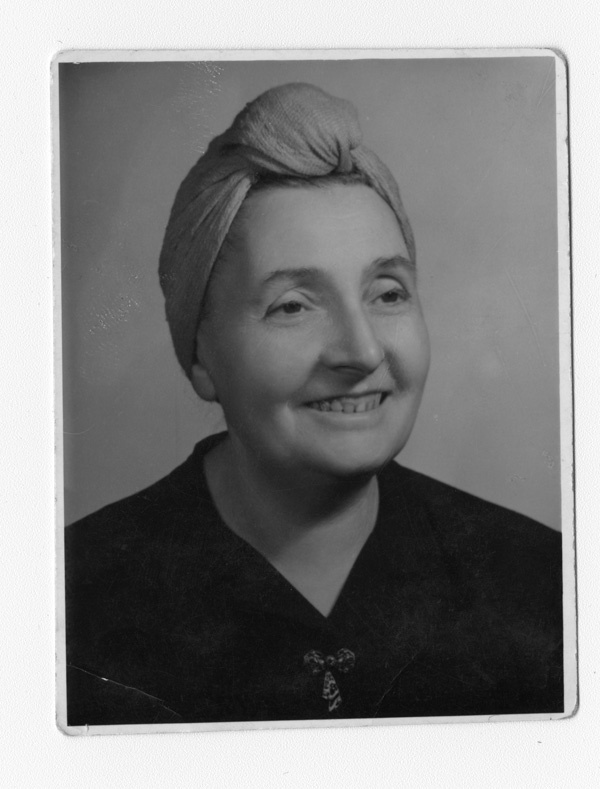 Tibor’s mother, Helen. Ramat HaSharon, Israel, circa 1950. 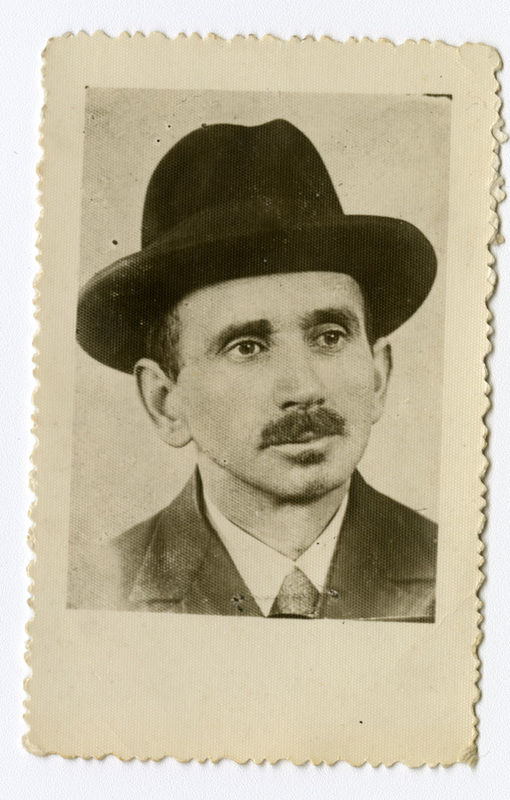 Yehuda Benyovits, Tibor’s cousin and leader of his youth group, Hanoar Hatzioni. Israel, 1953. Tibor on Yom Ha’atzmaut, Independence Day in Israel. 1953. 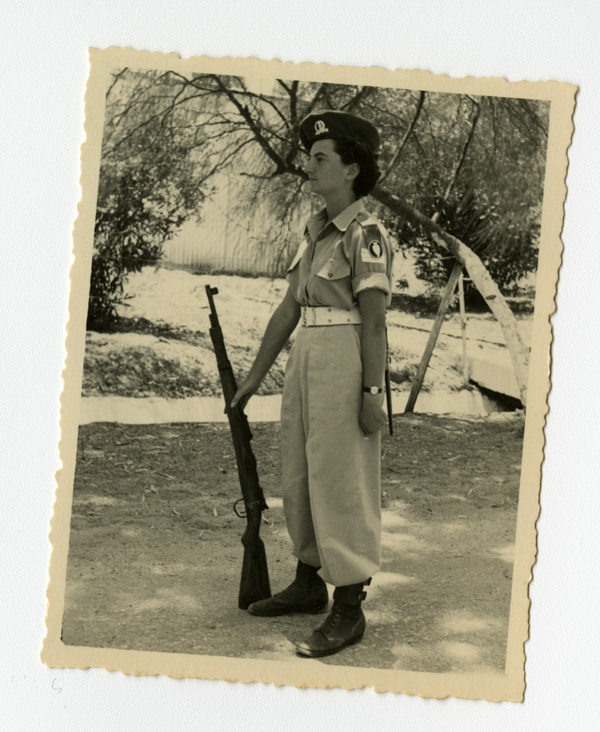 Tibor’s fiancée, Miriam, in the Israeli army. 1953. Tibor and Miriam on their wedding day. 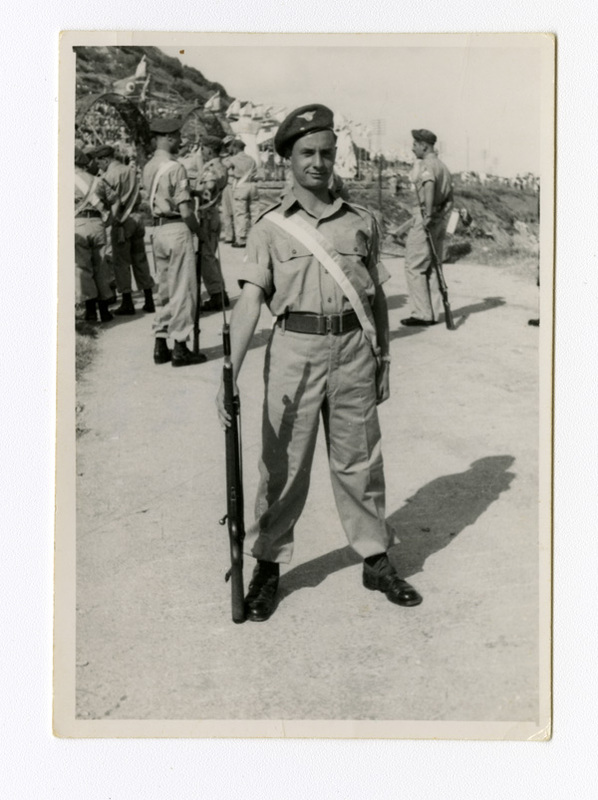 Israel, October 12, 1953. 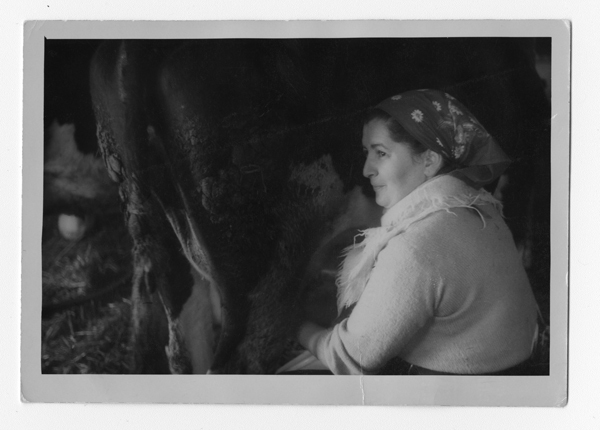 Edith, Tibor’s sister, on the dairy farm. 1960. 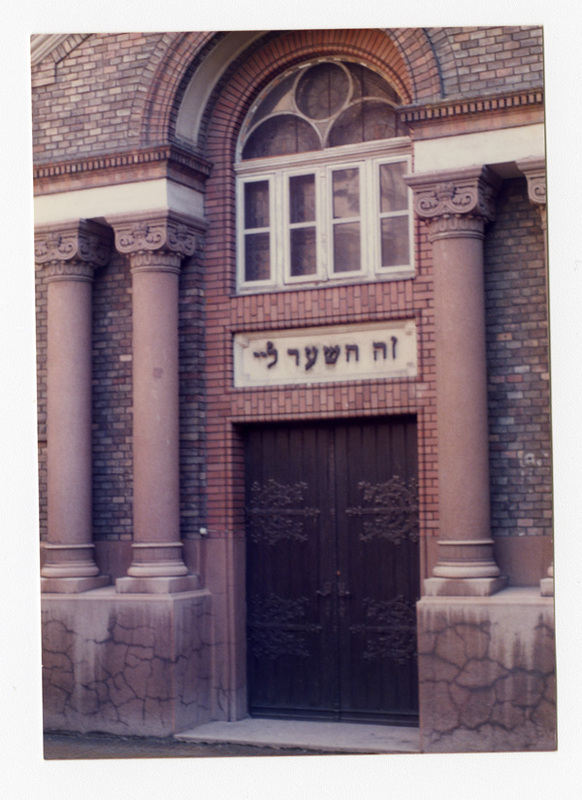 The Bethlen tér synagogue in Budapest. 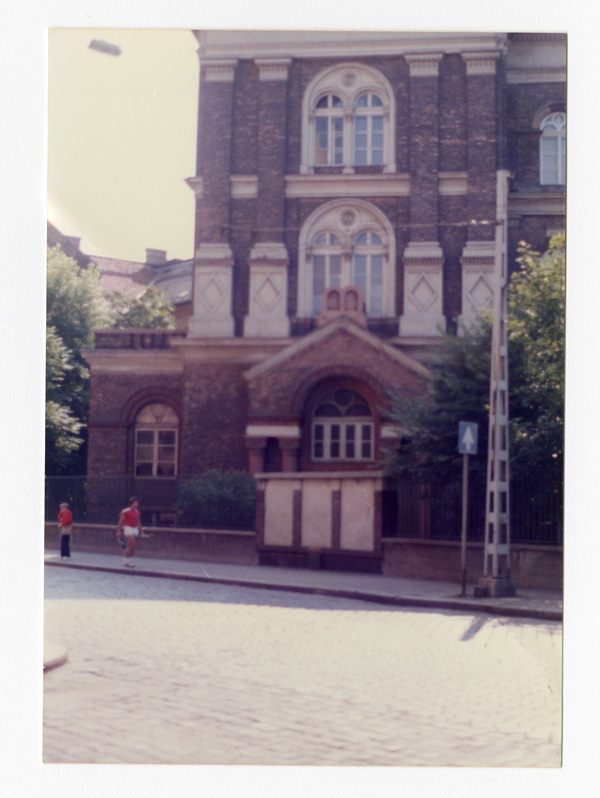 Photo taken by Tibor in the 1970s. A view of the Bethlen tér synagogue showing three memorial panels listing members of the shul — including Tibor’s father — who died during the Holocaust. Photo taken by Tibor in the 1970s. Tibor’s family visiting his sister Magda and family in Israel. Standing (in back): Magda’s second husband, Heinz (left), and Magda’s son, David (right). In front: Magda; Tibor’s wife, Miriam; and their daughter, Ronit. Tibor’s son, Amit, can be seen in the background. Ramat HaSharon, Israel, circa 1970. 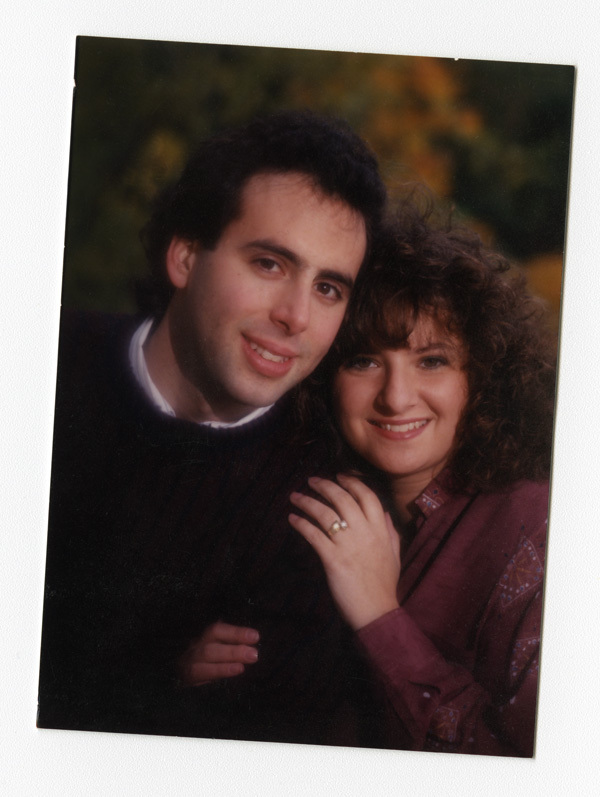 Tibor’s daughter, Ronit, and his son-in-law, Dale White. Toronto, 1992. 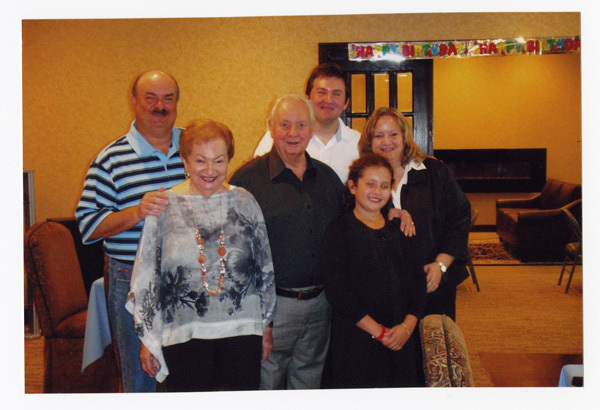 Tibor and Miriam celebrating their eightieth birthdays with their children and two of their grandchildren. 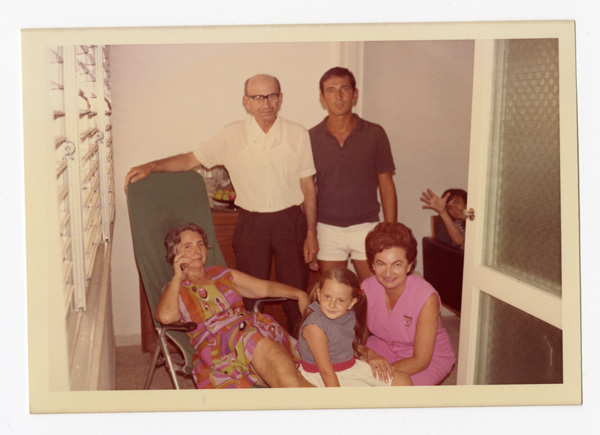 From left to right (in back): Tibor’s son, Amit; Miriam; Tibor; his grandson, Joshua; and his daughter, Ronit. In front, Tibor’s granddaughter Rebecca. Toronto, 2012. 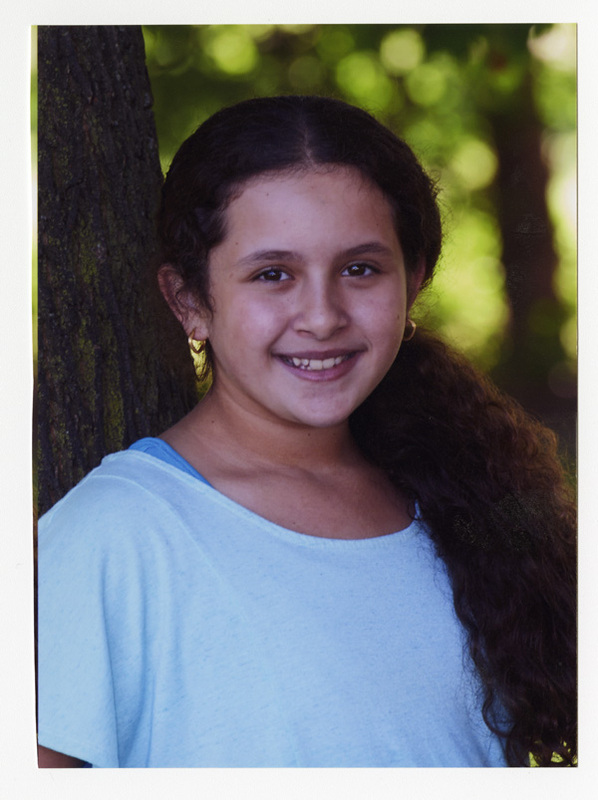 Tibor’s granddaughter Rebecca, at age fourteen. Toronto, 2014. 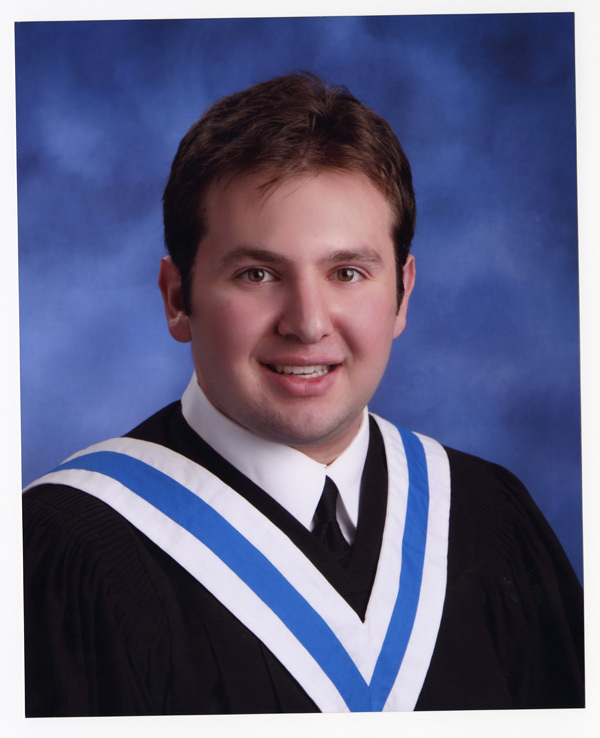 Tibor’s grandson, Joshua, upon graduation from high school. Toronto, 2014. 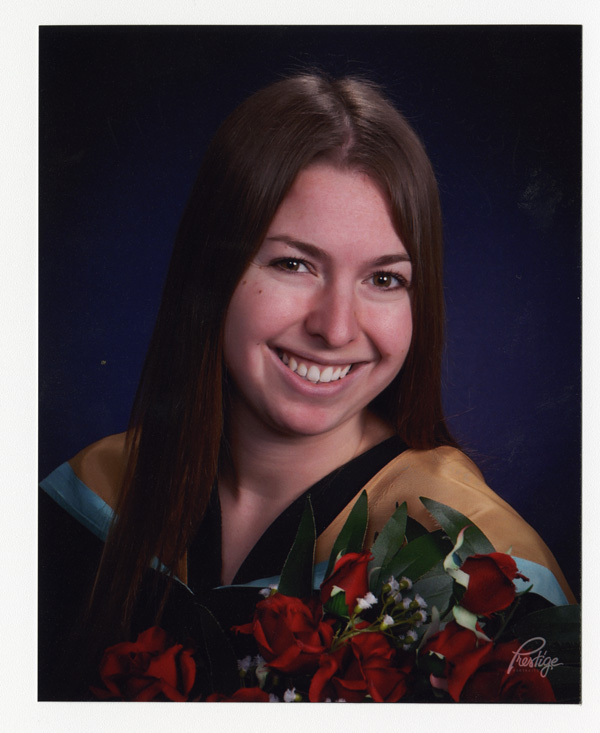 Tibor’s granddaughter Jamie upon graduation from McMaster University. Hamilton, 2017. Tibor on a cruise. 2010. Tibor and Miriam. Toronto, 2018. I want the next generations to know about these bright points that we can be proud of, and honour ourselves and our names. We need every point of light that we can find. The Jews of Budapest, now concentrated in designated Jewish houses, were given new laws and regulations daily by a non-Jewish superintendent, whose job it was to carry out the prevailing anti-Jewish regulations. At the outset, the curfew was strict and only allowed us to move around the city for three hours, from 2:00 p.m. to 5:00 p.m. The curfew regulations were posted inside Jewish houses and outside on bulletin boards. Slowly, the curfew relaxed and the time for free movement became longer — 11:00 a.m. to 5:00 p.m. But suddenly, on one Thursday in October, our movement from the Jewish houses was shut down — no in and out anymore. Previously, I would sneak out without the star to get supplies unavailable to us in our allotted hours. Long before the occupation, many food items — such as sugar, flour, butter, jam and cold cuts — were rationed because of the war. Each person was given a certain number of coupons for an item. The allotments were very small and often the item was not available. But sometimes you could get things that normally were rationed. In the mornings, people lined up at bakeries to get fresh buns. I used to line up and, if I was lucky, I would get a bag full of kaiser rolls, which we all loved. My mom would fry onions with some red paprika; the fresh buns filled with these finely cut fried onions were a real delicacy. But now we were locked in the Jewish house with no chance of escaping. The following week, that changed for me. One day before noon, our house superintendent came to our apartment with a man in civilian clothes in the style that Hungarian detectives wore. The superintendent, in a high-pitched voice, said that this guy had a document that ordered me to go with him to work with the International Red Cross. 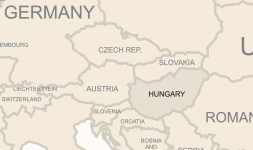 I have to point out that any Hungarian kid from the age of twelve had to belong to a paramilitary organization called the Levente. I had attended a number of this organization’s meetings. The meetings had two parts: disciplinary training and emergency work, for which we were taken to clean building sites that had been bombed. So when I saw this detective type, I connected him to my Levente activity. My mother got really scared, not knowing what this order meant. The man discreetly told my mother to give me a coat or sweater where the yellow Star of David was fastened with pins for easy removal. This gave my frightened mother a clue that he was friendly. So I said my goodbyes and went with him. As soon as we left my house, his eyes searched the area to see if it was safe, and when he seemed satisfied, he told me to remove the yellow star. He told me he was a member of my Hanhac organization and that he was taking members of my kvutza from the locked Jewish houses to an office that was part of the Zionist underground. This was my first encounter with one of our group wearing a disguise. I learned later that wearing some sort of uniform as a disguise gave members freer movement on the streets of Budapest, especially during air raids. He took me to an office building on Mérleg utca, a street in the prestigious business district close to the Danube. When we arrived, I met some of our leaders and also some members of my kvutza. It was both a happy and a sad reunion: happy because we were together again, sad because of the unknown future awaiting our loved ones.